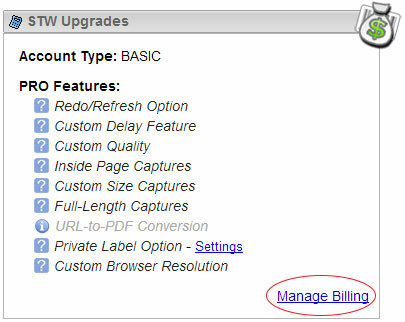 Step 3: Click the "Manage Billing" link located below the PRO Features List. Step 4: Click the "Update Payment Method" link located at the top Right of the active subscription list. Then Click the "Go to Checkout" button. Step 5: Locate the payment details section of the checkout page and select "Add/Update payment method"
Pay with Credit Card: Complete the credit card billing form and click the "CHECKOUT" button.